Another “Through Their Eyes” post. 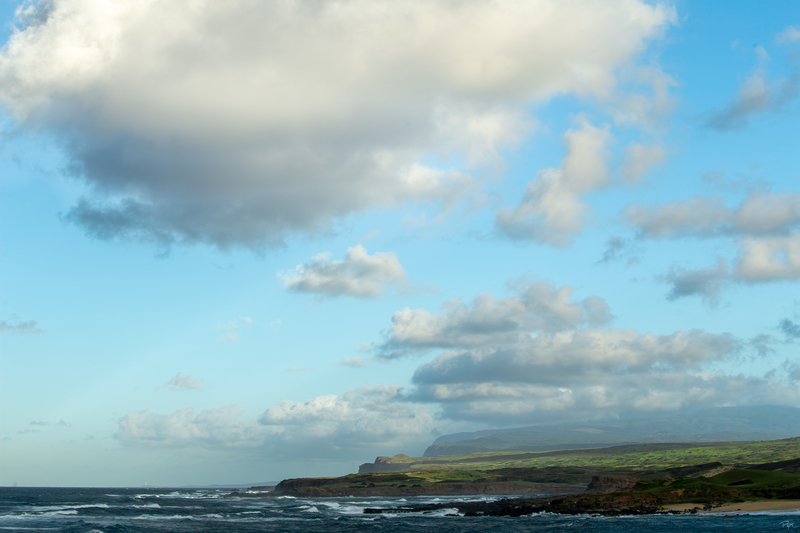 This time from our Contemplative Photography Retreat on the Island of Molokai Hawaii. 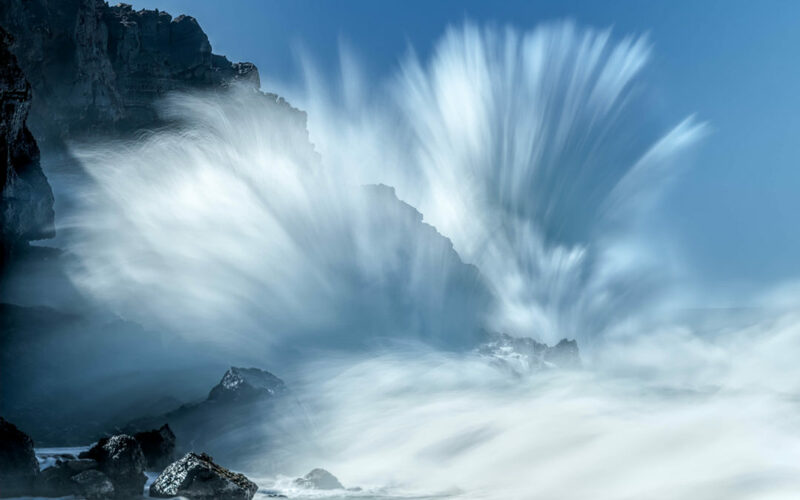 Steve Koppel – I enjoy adding the element of “time” to my images, especially when expressing the power and movement of water. 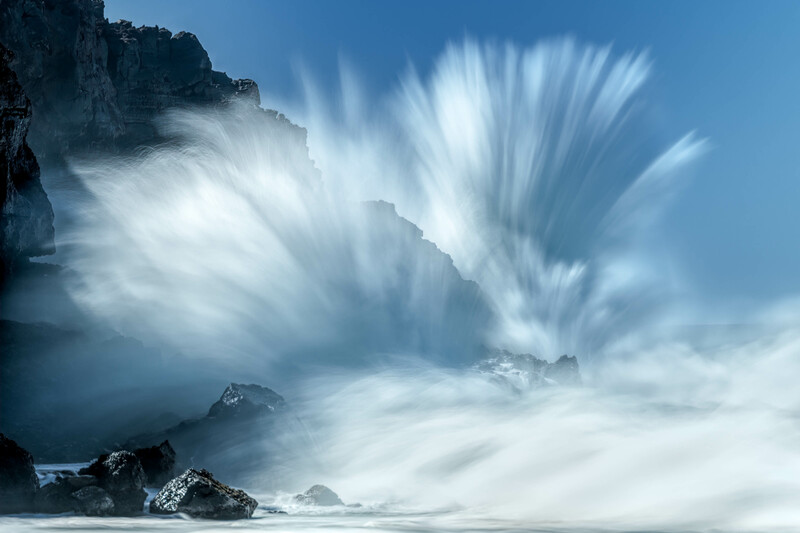 This image of Kaiaka Rock was created in the middle of a memorable extended afternoon I spent on Kepuhi Beach exploring Molokai’s captivating waves. 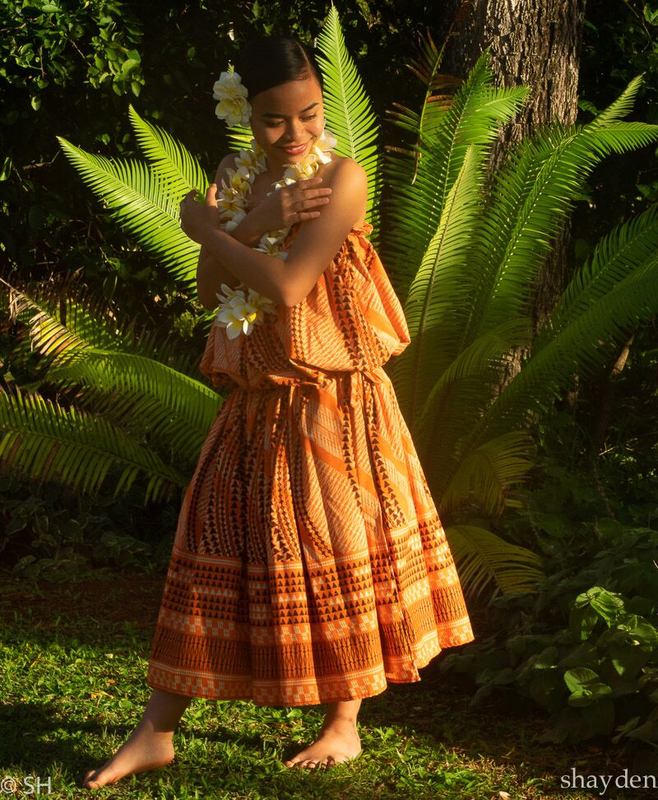 Ed Sancious – Offering – this image is a celebration of what life, Moloka’i and everyone present had to offer. 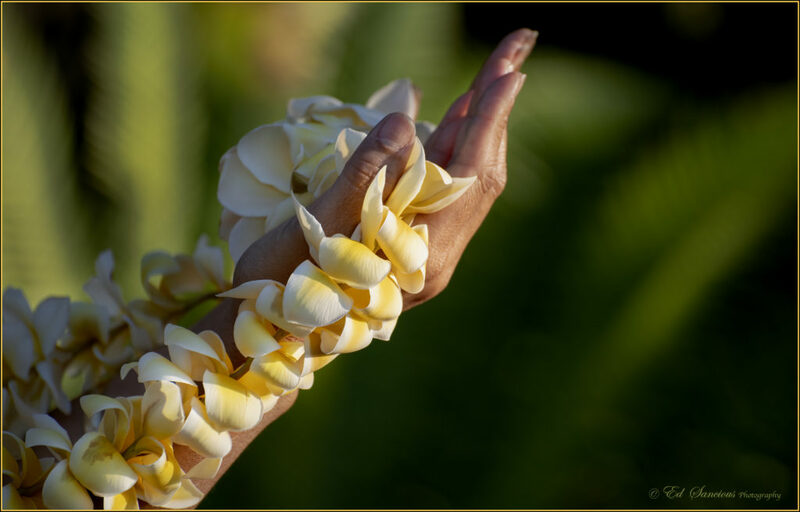 The world offered, we received and offered back recognition and appreciation through our imaging. 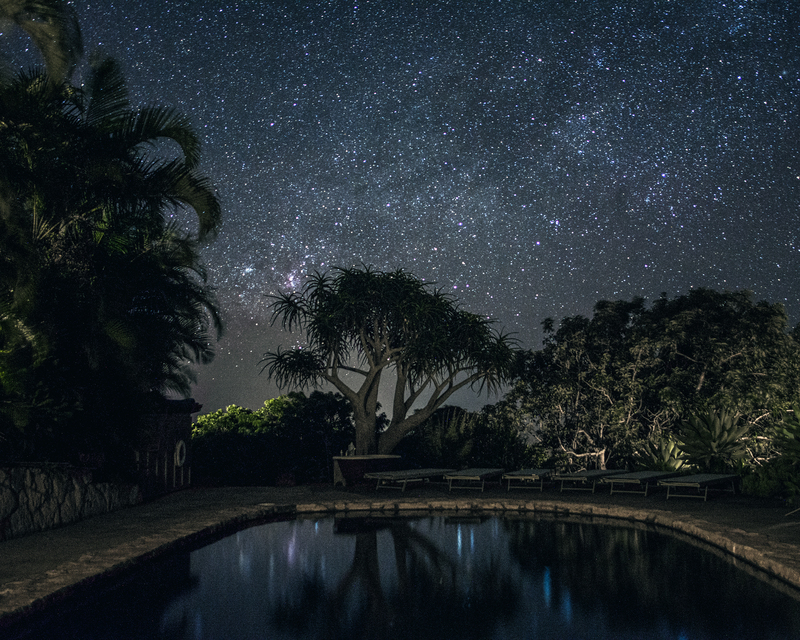 Terry Rowe – This image reminds me of the vast sky that I slept under every night at the Hui, the stars shining me to sleep and greeting me when I opened my eyes. It also represents persistence and commitment – it took me more than one early morning to make an image that was satisfying. Lastly, it represents a starting point to the making of other images. Nancy Farney – Going through all of my photos from the trip, choosing one as a favorite is tough!! 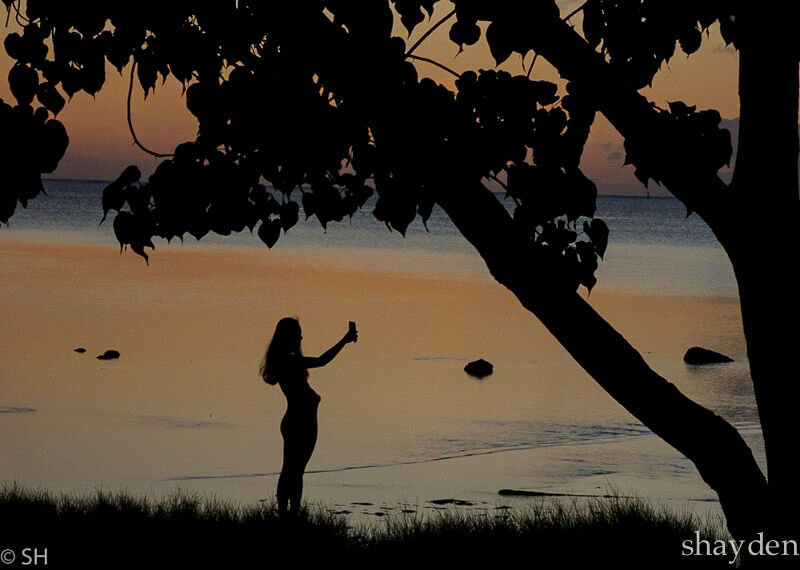 You helped me with a sunset shot in the palm grove that I love. 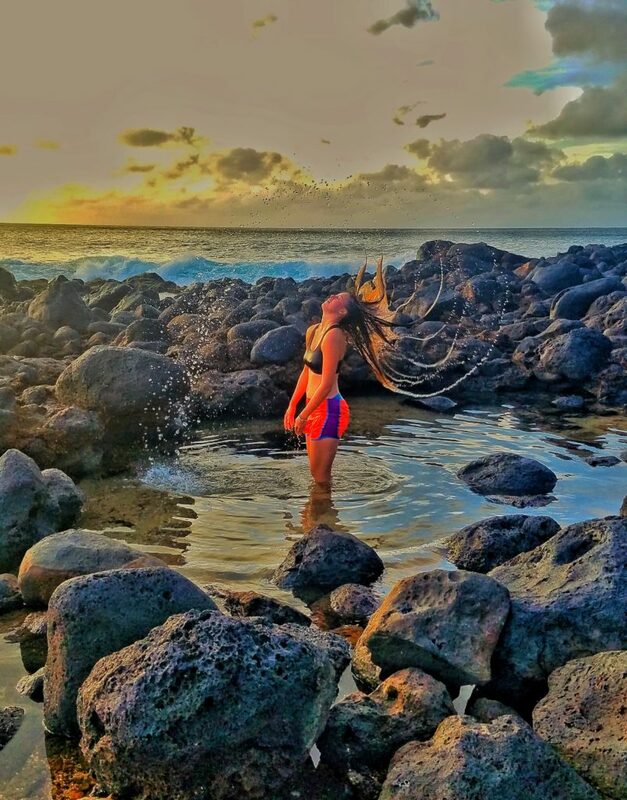 I love the wave photos and sunset at Popokaku and the ones from Halawa. 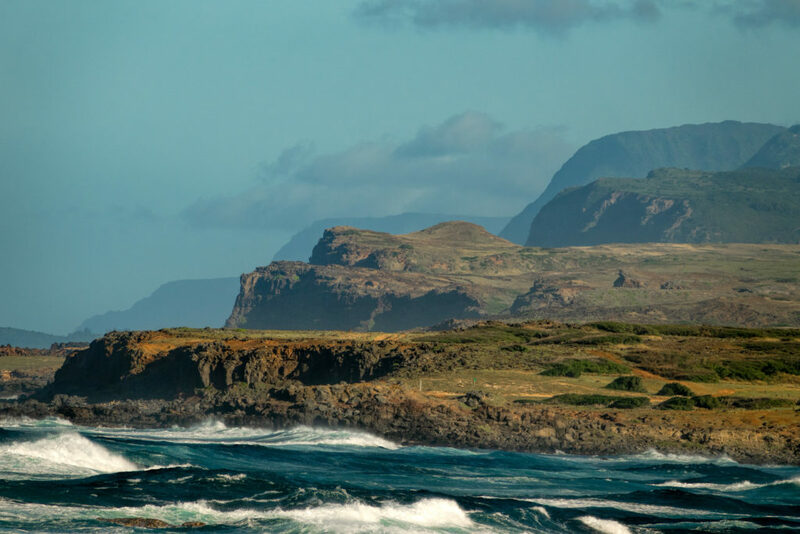 However, as we drove into Mo’omomi and first saw those cliffs that are on the wall in the lodge, I said out loud, “Holy s***!” I only got out the word Holy, and Rikki said, “yes, it is.” I was awestruck with the beauty and majesty of the entire place, the wind and the waves, and I come from Colorado where wind is a constant. This photo reminds me of that sense of awe. Sorry if I said too much, but it needed saying. 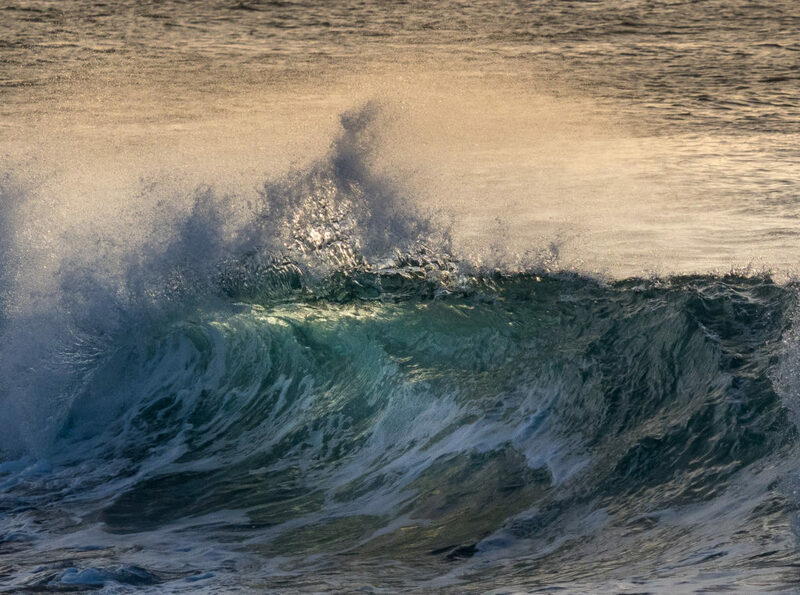 Ase Sewell – I feel connected to the wave in this picture because it combines both power and beauty. It is also one of the first photos I processed by myself. Roy Sewell – Viewing the leper colony from above in the strong wind and near dark was a somber experience. This was the right time to be there. 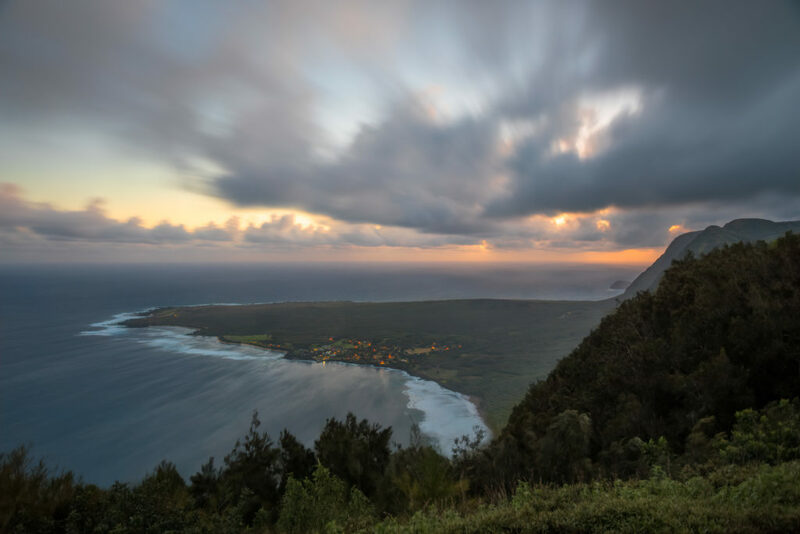 Susan Hayden – This image brings to mind old dark images of Hawaii postcard, with a new touch.